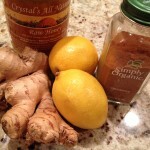 Natural Sore Throat Remedy | Whole Food. Real Food. Good Food. 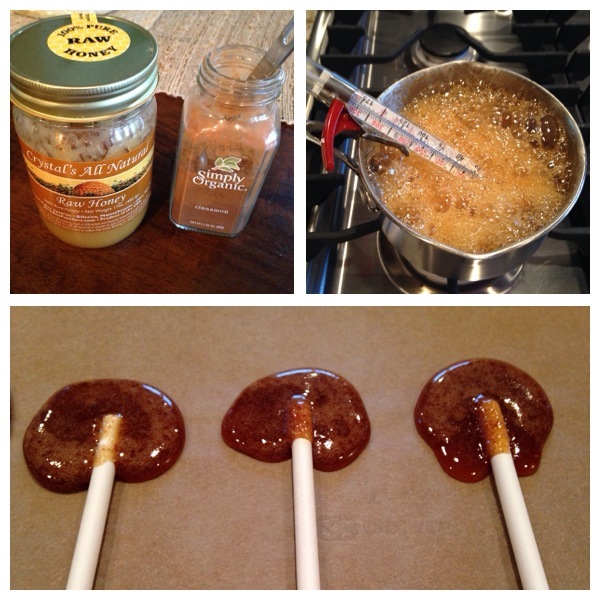 My daughter is coming down with a cold and a scratchy throat, so we made these lollipops this afternoon. The only ingredients are honey and cinnamon. I am eating one right now, they are really tasty! They have the consistency of taffy, so I would not recommend these for children with braces, expanders or retainers. If you don’t have time to make lollipops, simply taking a teaspoon of honey (raw is best) and a 1/4 teaspoon of cinnamon will usually knock out a cold within a day or two if taken twice a day for 3 days. Cinnamon is 26 percent sulfur based and honey is 33 percent sulfur based, making their combination very effective. 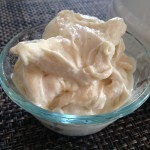 Sulfur stimulates the body’s natural healing powers, causing a general improvement of symptoms. Once the honey has reached 300 degrees, remove the pan from the burner. Stir the honey and allow it to cool for a minute or two in the pan. Add the cinnamon, if using, and stir to thoroughly incorporate. Does raw honey contain pollen? If so, what if you are allergic to pollen? 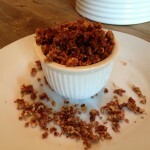 Raw honey does contain natural bee pollen, thus I would not use this recipe if you are allergic to pollen. If you boil honey it looses all its beneficial substances (especially enzymes)!!! Honey temperature should never exceed degrees F! Honey temperature should never exceed 120 degrees F! I have made cough drops for years but the honey burns before it reaches 300 degrees so I have used raw sugar and honey at a 3 sugar 1 honey mixture.